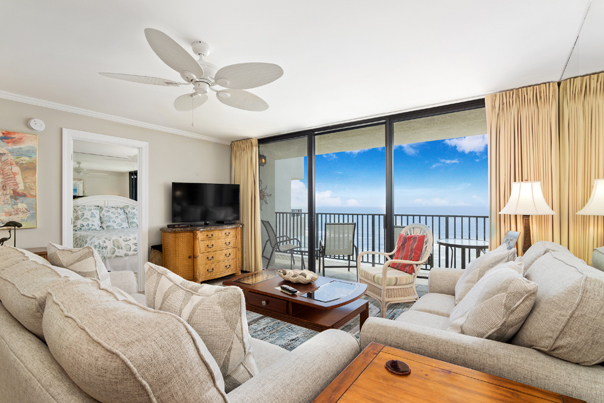 This unit was newly renovated in the spring of 2019! 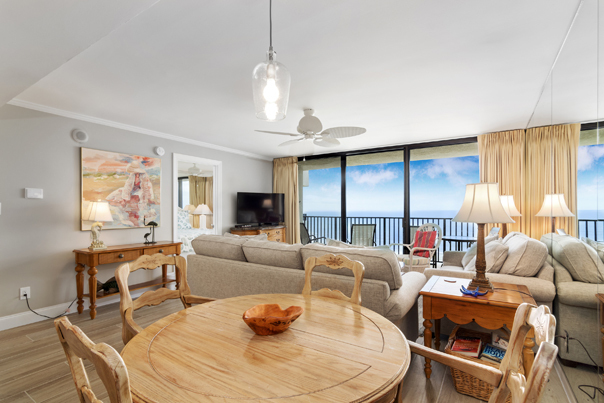 This unit offers a panoramic view of the Gulf of Mexico with spectacular sunsets AND sunrises as a bonus. 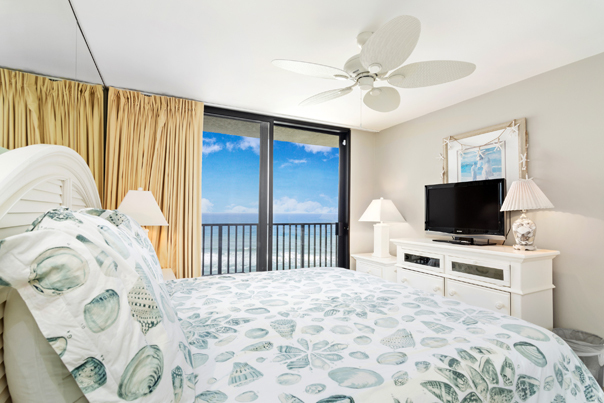 Interior decor is in soft colors that blend the living areas with the amazing blue/green of the gulf waters. Mirrored Walls in the Living Room, Dinette and Master Bedroom reflect light. There are Lined Drapes in the Living Room and Master Bedroom. Living Room and Master Bedroom are carpeted with tile throughout the rest of the condo. 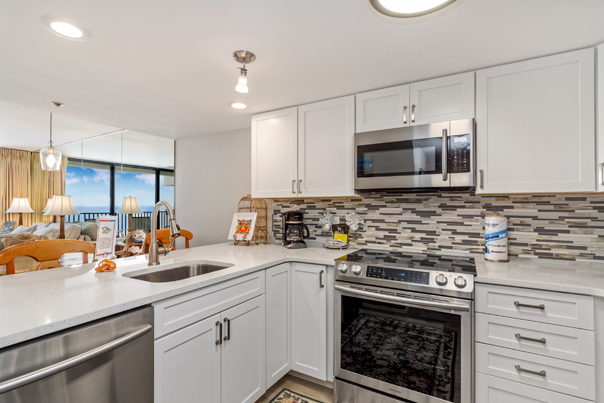 The kitchen is fully equipped and has Silestone countertops with a stainless sink. 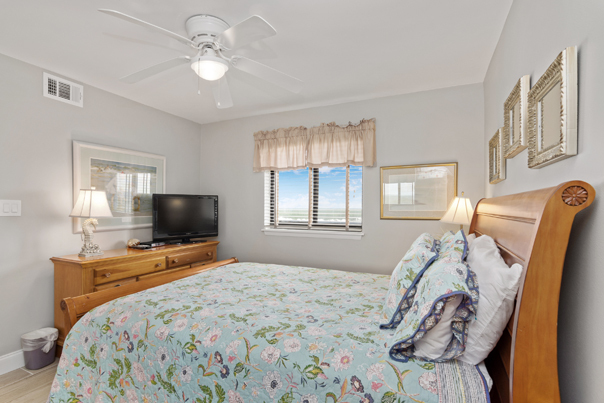 The entertainment package includes a 32" Flat Screen HD TV, DVD/VCR and 6-Disk Changer CD in the Living Room, a 19" TV with DVD in the Master Bedroom and a 15" Flat TV with a DVD in the Guest Bedroom. All TVs have cable. 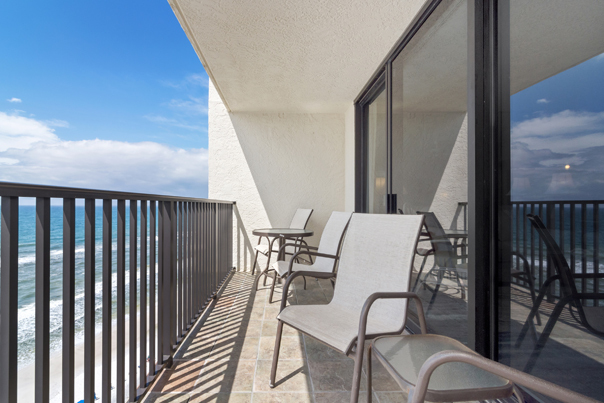 The Balcony furniture includes table, 4 chairs, chaises and an electric grill.